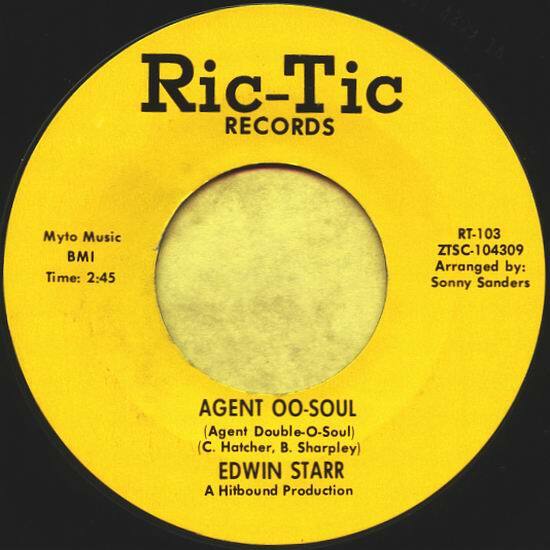 The only yellow issue on the Ric-Tic label with slightly altered title. The design of the front cover is the same as the original Gordy album G-919 (but with fewer tracks). Back cover is white. 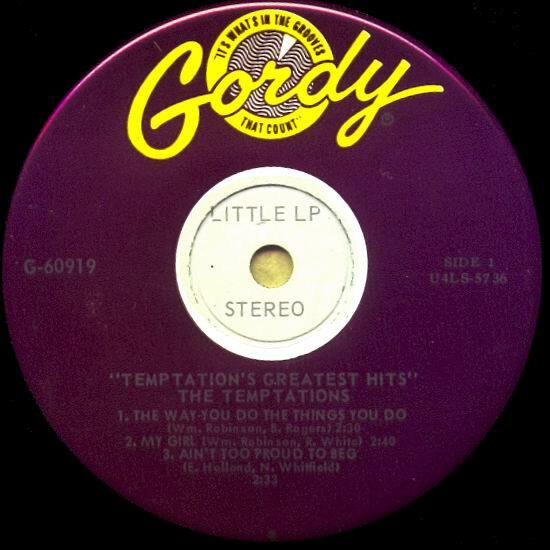 Motown issued around 35 "Little LP's" from 1963 to 1971. 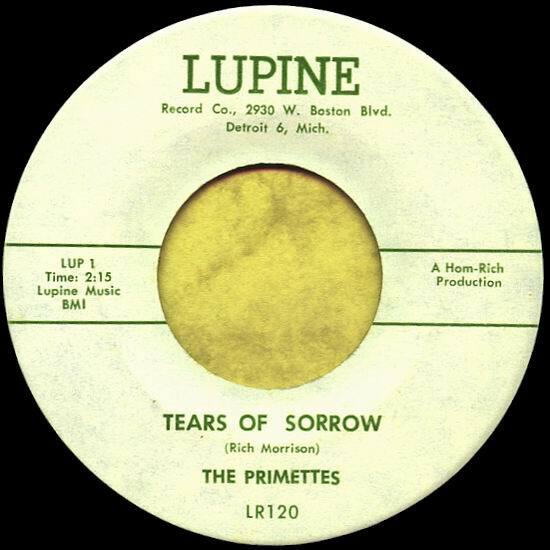 Released in March 1959 by the Primettes with four girls: Florence Ballard, Betty McGlown, Diane Ross & Mary Wilson. Betty was replaced 1960 by Barbara Martin who also left the Supremes 1962. Ric-Tic 109 "Stop Her On Sight (S.O.S.)" with other lyrics. 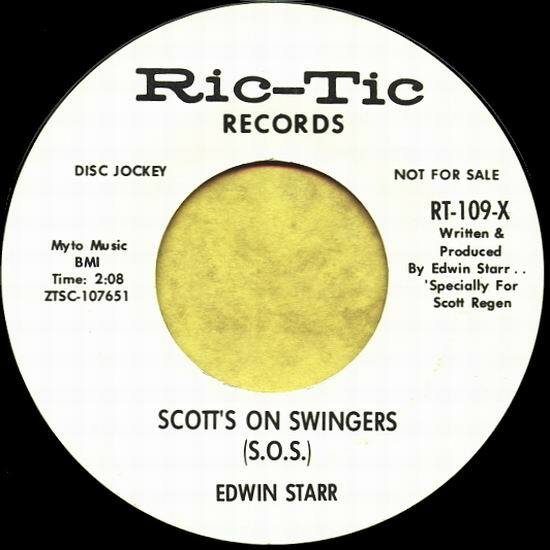 "Scott's On Swingers" is a tribute to Detroit Disc Jockey Scott Regen on the radio station WKNR-AM. Issued as a double sided promo only. The size of this "Little LP" is the same as a 45 RPM single... but the speed is 33 1/3! Three tracks on each side. Most of the "Little LP's" were released during the years 1966 - 1967. 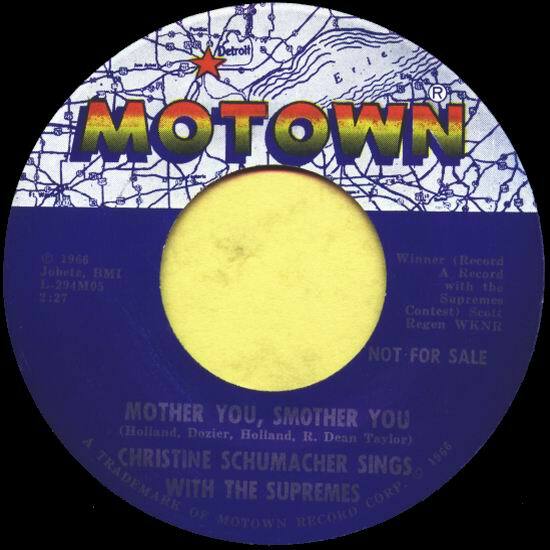 "Record A Record With The Supremes" winner was Christine Schumacher 1966. The contest was done by Scott Regen on radio station WKNR-AM in Detroit. A few copies were pressed. Same song and label on both sides. 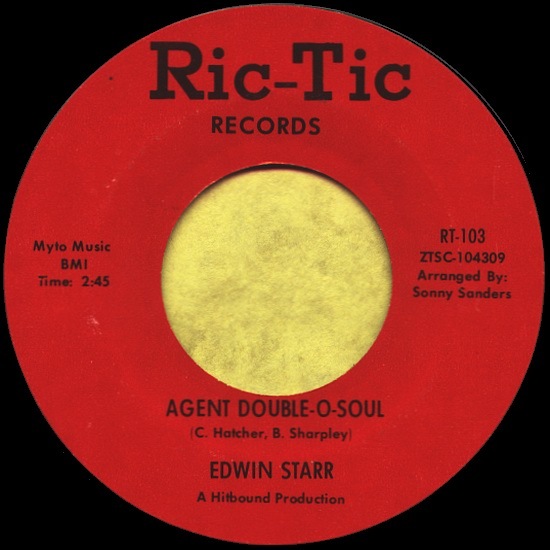 Secret agent EDWIN STARR in red design. This is his first big hit. 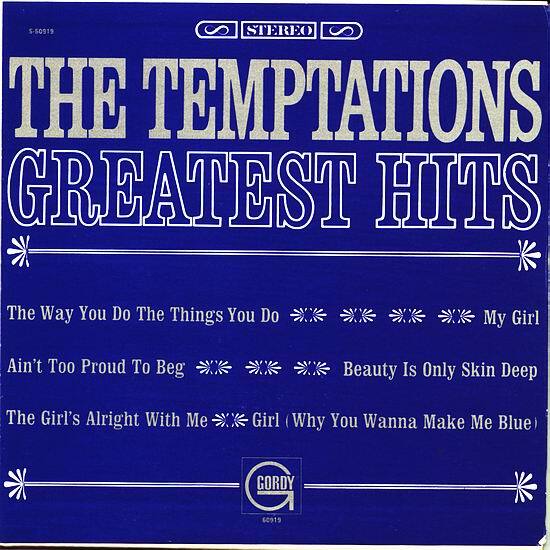 No 8 on the Billboard R&B chart 1965. 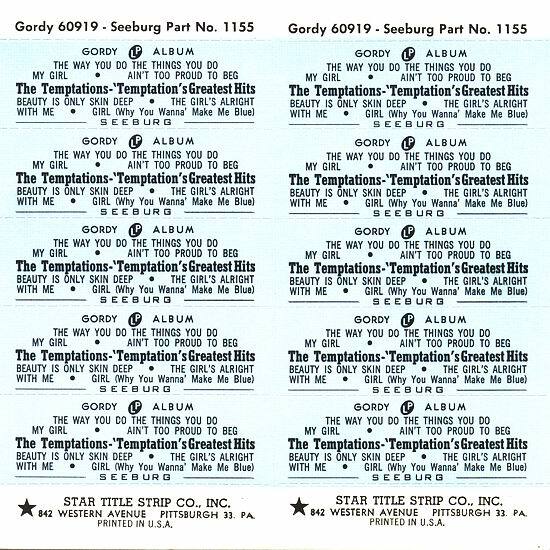 The mini LP's were distributed together with title strips on the back, especially designed for jukeboxes. That is the reason why back covers of "Little LP's" are plain white. Florence Ballard was forced to leave the Supremes 1967. In 1968 she made two singles for ABC Records. Neither of them were seen on the charts! 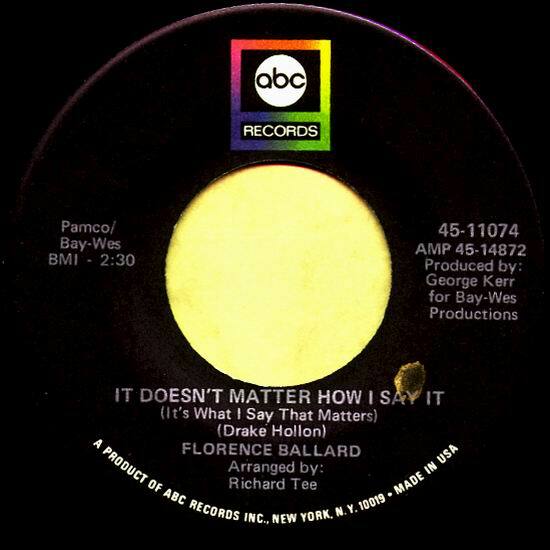 Florence "Flo" Ballard tragically died in Februari 1976.